Anti-Pitchfork: Drastic Andrew "Live Without Warning"
Drastic Andrew "Live Without Warning"
'New Rock Country Wave' is a label you don’t hear often, if ever, for a musical genre. As I finger through new releases of the month, it crosses my mind that I don’t think anyone has attempted to brand that kind of music or define that category. It would have to consist of influences ranging from Johnny Cash to Echo & The Bunnymen. Americana and New Wave are relatively distant styles and few have mixed the two together. Bands like R.E.M. or The Replacements have taken a stab at it. I love those bands, but I wish more would try to fuse the ingredients that make up those sounds today. 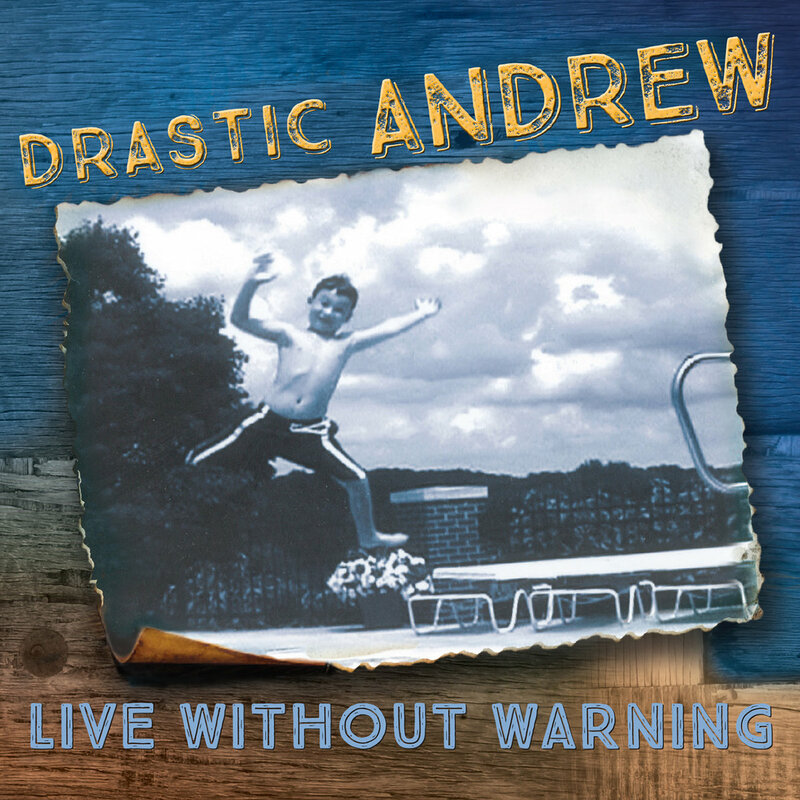 Drastic Andrew is a five piece group from Santa Fe, New Mexico that just released their third full length album “Live Without Warning”. It’s a unique blend of alternative country rock and art pop lyrical content that’s on the brink of a fresh new sound I’ve never really heard before. It’s like the next logical step from what R.E.M. was tinkering with on the massively successful- “Out of Time” around the early 1990’s. I can hear similarities to artists like Vic Chestnutt and Elvis Costello too. The instrumentation and arrangements are impressively distinct, led by singer/songwriter Andrew MacLauchlan’s existential lyrics and heartfelt melodies. His voice is strikingly similar to David Byrne and the band is obviously made up of top notch seasoned musicians, making them one of the most versatile groups out there. “Live without Warning” is a truly inspired collection of influences from David Bowie’s slinky lounge music of the 1970’s to honest storytelling, beer fueled acoustic songs about life. “Pedestrian Love Song” is a perfect acoustic ballad, a love song about a couple living through the mundane parts of relationship and marriage. “End of the Line” is another stand out acoustic track where MacLauchlan ponders the ironies of everyday characters with a classic Bob Dylan tone to his delivery. But the vibe of the majority of the album centers around a new wave existential backdrop you can clearly connect to on songs like “Now” and “Evolution”. MacLauchlan tends to gravitate toward his apocalyptic science fiction world while the band is flawless, hitting every nuance with style. If you’re a wide ranged record collector, a Talking Heads fan, or interested in a flourishing new indie rock group, this is the band for you.